In the past year, the Laurier Waterloo campus has experienced some significant progress in the ongoing construction and improvements to the university, including its overall efficiency, both in terms of energy and accessibility, as well as its aesthetic appeal. The construction has taken place both in and outside of the Frank C. Peters Building, the Turret, Veritas Cafe, 202 Regina Street North and Martin Luther University College, formerly the Waterloo Lutheran Seminary. A new building is also in the process of completion. According to a WLU news release from April 2016, this project is part of a greater “sustainable energy management initiative,” which began April of that year. The goal, in cooperation with the provincial government, has been to “provide an innovative financing solution to confront the substantial impacts of energy consumption, both in financial and environmental terms,” said Claire Bennett, manager of Laurier’s Sustainability Office. Mark Dettweiler, director of planning, design and construction at Laurier, provided some commentary on the changes that have happened since the Winter 2018 term, and have been delayed. There are a number of things with regard to the Laurier Energy Efficiency Project that are ongoing, soon to be completed projects. One of the most immediately noticeable is a new building that can be found on and around the Clara Conrad Hall, the co-ed residence building near the Athletic Complex. “Outside of the Clara Conrad [Hall] there’s a new building, which is a battery storage unit,” Dettweiler said. Dettweiler explained that these changes are a result of changes to the Ontario system of utilities, where hydro costs have shifted to a time-of-use, on versus off peak hours of electricity consumption. “Essentially hydro is cheap at night, expensive during the day,” Dettweiler said. A portion of the campus construction has been prompted by this idea of increasing energy efficiency and sustainability for the university, moving forward. “We will see solar panels here and there and we’re also doing a lot of the lighting replacements, upgrading the LEDs to reduce energy usage. It’s a multi-year project — same with water fixtures,” Dettweiler said. 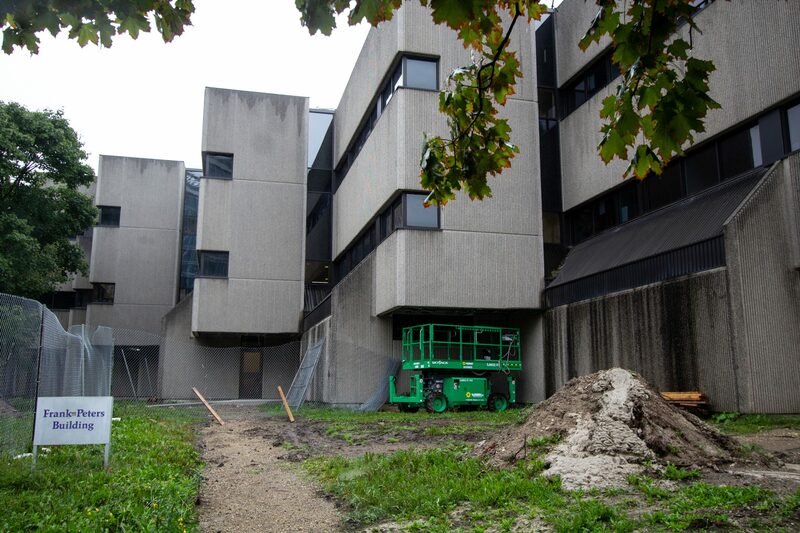 The Peters building has seen the largest percentage of the construction budget and will be continuing into the new semester — but is hopefully concluding soon. “The Peter’s building had a budget of $13.7 million, that involved a complete gut of all the interiors and all of the building systems — totally new mechanical, electrical systems, air handling,” Dettweiler said. It used to be like a rabbit’s warren, now it’s a little easier to navigate and know where you are — it’s more open and attractive,” he said. Like all construction, unfortunately, the Peters Building ran into some delays that have pushed completion beyond the estimated goal of April 30, 2018. “We had to put some new equipment and electrical rooms, where the only area we had to do that was to drop it in through the courtyard, and that complicated things a little bit,” Dettweiler said. This construction has coincided with a plethora of reorganization and movement of other departments and spaces. “We’ve moved archaeology, women and gender studies and philosophy, languages and literature to the third floor; all of the student’s services, the centre for students success and CTIRE on the second floor; and the first floor is common areas and [it] will have a new food service outlet there in a month or so,” Dettweiler said. The Turret and Veritas Cafe have also undergone significant renovations, using contributions from the Student Life Levy and Graduate Enhancement Fund to enhance the experiences of undergraduate students at Laurier. According to a letter from the former President of the Students’ Union, Kanwar Brar, the Turret project has been undergoing a rebranding to make it a more inclusive and attractive space for students, to become both user friendly and multi-use. This project, with a cost of $2.2 million, was funded by the Student Life Levy and is expected to be available for use by the end of September. “Our goal is that the complete transformation of the Turret will encourage more comprehensive usage by creating a location functional as both a social venue and an independent or group study space,” said Brar in the statement. 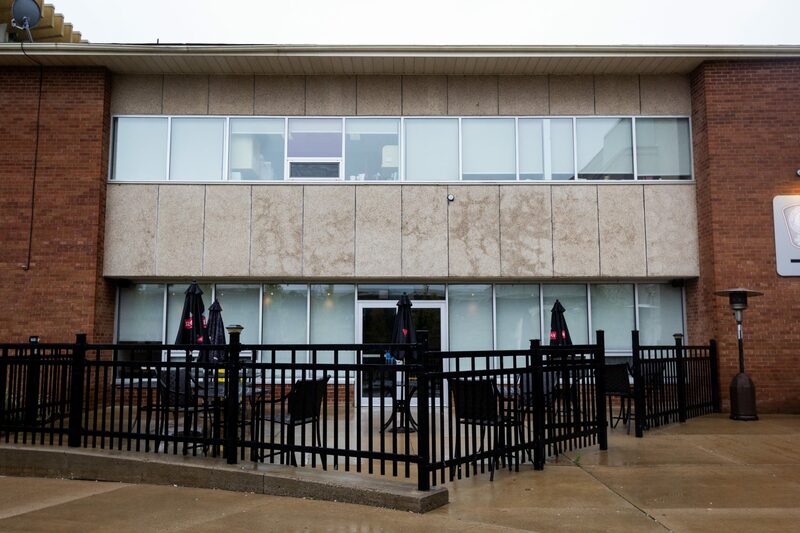 With the summer closure of Veritas Cafe coming to a hasty conclusion, Ellen Menage, executive director of WLU Graduate Students’ Association, provided some information on the goal behind their renovations as well. The Graduate Enhancement Fund, separate from the Student Life Levy, seeks to support projects that improve the quality of graduate student experiences that couldn’t happen otherwise. The Veritas project in particular has totalled $265,350, and is expected to open Monday, Sept. 17. The goal of this renovation was twofold: to improve seating capacity, as it will be nearly double the size, as well as improving storage space to focus on local suppliers, fixing an issue that had occurred previously. As well, the GSA office has moved from beside Veritas and into the Peters Building, in room P111. The final stage of this construction rests at the 202 Regina St. building, where a series of internal renovations are taking place. The offices currently residing at 255 King St. N., including the Administration, Planning, Design and Construction and Sustainability Office, are going to be moving into that building once renovations are complete. “It’s been kind of a domino project where Schlegel moved people, Peters, 202 Regina, so basically the last thing is we move out of here and we give up this leased space. All that was put into motion when we started Lazaridis Hall. [We’re moving] within the next six months for sure,” Dettweiler said. Martin Luther University College has also seen some rather important internal overhauls. “Essentially a new entrance was put on the Albert St. side, [as well as] a completely new mechanical [system] — they had a very old boiler and no air conditioning, now they have much more efficient heating and air conditioning,” Dettweiler said. As far as future projects are concerned, there is only uncertainty and questions for now. “We certainly have ideas for the music building, we’re hoping those things come forward,” Dettweiler said.